Fig. 6. 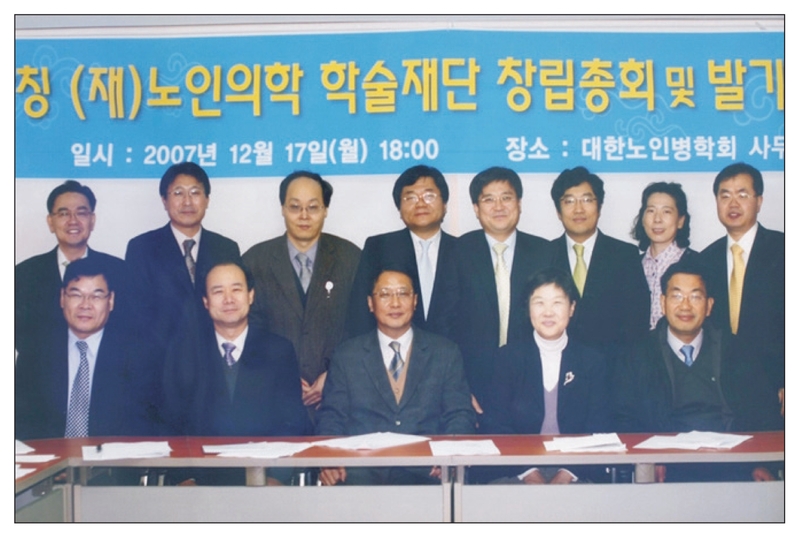 Founders’ Meeting of the Korean Geriatric Research Foundation (December 17, 2007) (clockwise from the bottom-right: Hyun Rim Choi, In Soon Kwon, Hyung Joon Yoo (the first chairperson), Seok Hwan Shin, Min Ho Jeon, Hong Woo Nam, Soon Joo Wang, Dong Woo Lee, Yong Deuk Jeon, Bon Lee, Eun Joo Lee, and Hak Chul Jang.